What does Run Flat Mean? 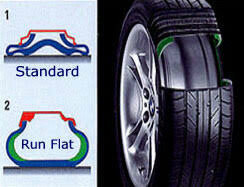 Runflat Tyres are now commonplace on many vehicles including BMW and Mercedes. The cutting edge construction of runflat tyres is stronger than the standard to ensure you can avoid being stranded in an unsafe location or an accident due to driving without air pressure in a tyre. 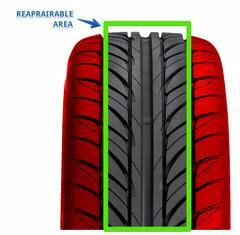 This means that the tyre can operate for up to 200kms at a reduced speed (depending on the brand) with little or no air supporting the tyre. This is why they are often referred to as self supporting tyres. Do I Need Run flat Tyres? Is your vehicle fitted with a spare tyre? Do you rely on your vehicle for work etc - Can you afford to be off the road? Are there younger drivers who may benefit from getting home safely? Can I Repair Runflat Tyres? Can I mix Runflat and non-runflat tyres?